This Master Opellum Character Sketch and Scene endeavors to show that Master Opellum is one of the ageless mysterious adepts of The Ancient One -also known as Prime Creator. He is also the leader of the extra-terrestrial Oceanan race from a planet called Oceana located in a higher parallel dimension of the physical universe and the father of Mayleena. Over five hundred thousand years ago, he and his Oceanan ancestors sponsored the beginnings of the entire Galactic Inter-dimensional Alliance of Free Worlds. You can see what is meant by stating that he is ageless. 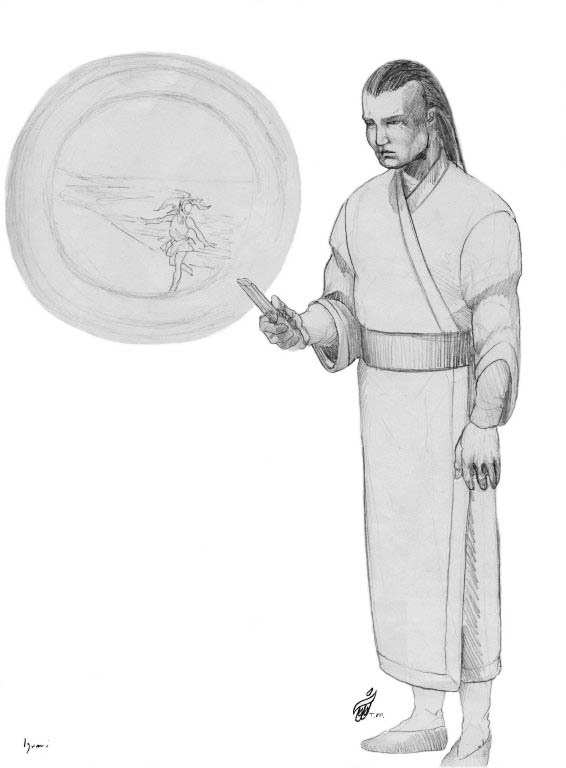 Master Opellum, father of Mayleena, is also a timeless Adept of The Ancient One. This Master Opellum Character Sketch and Scene also reveals more about his ageless wisdom. He is using a special crystalline device to observe a highly advanced holographic-type projection of his daughter Mayleena who disappeared at the age of ten while swimming outside their undersea domed city during a massive underwater earthquake. He was also Master Ra Mu’s teacher in ages past. 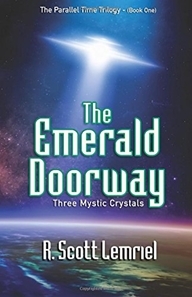 Now he is currently assisting the benevolent interplanetary organization called the Galactic Inter-dimensional Alliance of Free Worlds, his daughter Mayleena, Captain Kalem Starland, and Etta with their attempts to alter the self-destructive path the current hidden leaders of Earth are heading our planet. He is committed to head our world toward an unexpected bright future of expanded awareness, worldwide peace, and mutual cooperation with benevolent races from many worlds. Opellum is first introduced in Book One of the trilogy story on the ancient continent of Lemuria in Earth’s distant past. However, he is important to the survival of Earth in the days to come, as you will discover.